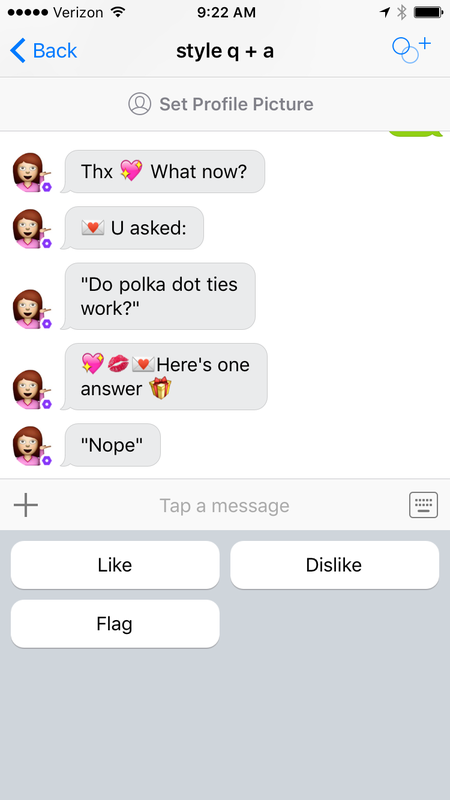 Kik just launched a bot store on its messaging platform, and there are some really creative and interesting bots in there. Let’s jump right in with short overviews of each, and then I’ll wrap up with some takeaways. 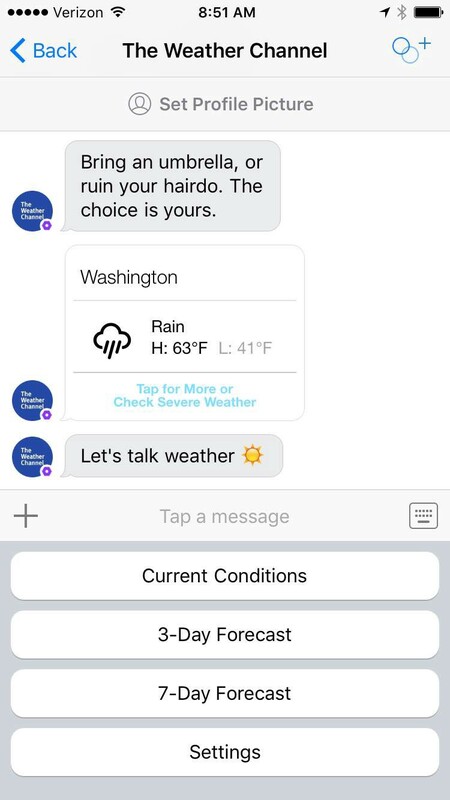 You ask a style question (sending along a pic as well if you wish), and the bot will present your question to real people who can respond. If you “like” the response, the bot will offer to introduce you to the other person by sharing your username. When I used the bot, I got several responses really quickly. I’ll never wear a mismatched tie again. It’s a choose-your-own-adventure story. You’re a character 100 years in the future on a planet called Arterra, and you talk to characters and play embedded mini-games. The action is carried along by a narrator, and you can choose the actions of your character. I actually want to see how it ends. You’re a character in an interactive story, powered by a service called Sequel. The bot comes loaded with four stories, which are driven by conversation (rather than narration+choosing an action). In one story, you’re a matchmaker in a chat romcom. You can play Tic Tac Toe against the bot or a friend. Helpfully, you can forfeit at any time if you can’t take the pressure. You can type a keyword or phrase (e.g. funny cats) and then receive a related Vine. 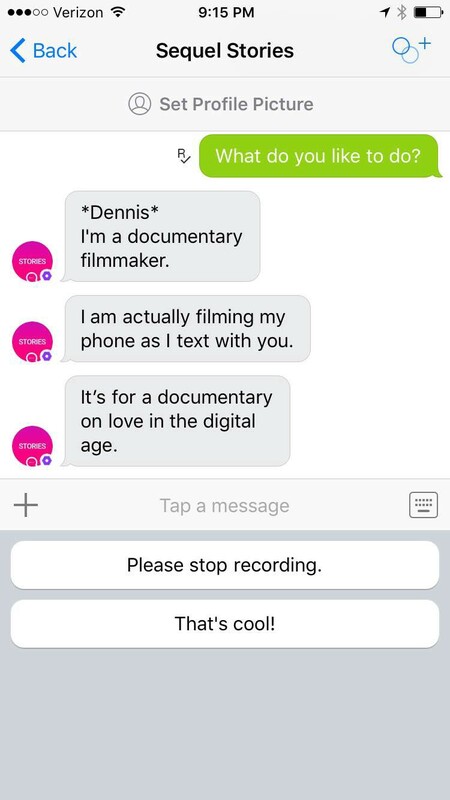 Send a Vine to friends by typing @Vine and a keyword in a message to them, and the bot will serve a Vine on that topic. You can search for a video or simply press the “Funny” or “Die” buttons to receive another funny video. I think these buttons fit nicely with how I imagine many users will want to use the bot — to see a stream of funny videos without having to think too hard. You can ask for current conditions, the 3-day forecast, or 7-day forecast. Also receive the day’s forecast automatically at the same time each morning, if you choose. The bot saved my hairdo yesterday morning with a 7am rain alert. Phew. This one is meant to be used primarily within chats with other people. You write @clipdisbot and then a phrase (like “no way”), and then ClipDisBot will send a video mashup. Similarly, in a chat with a friend, you can type @gif followed by a keyword to send a related gif. This bot quizzes you about celebrities. I did not do well. You can send a secret message to a crush, but there’s a 50% chance that you’ll remain anonymous and a 50% chance you’ll be exposed. What?! 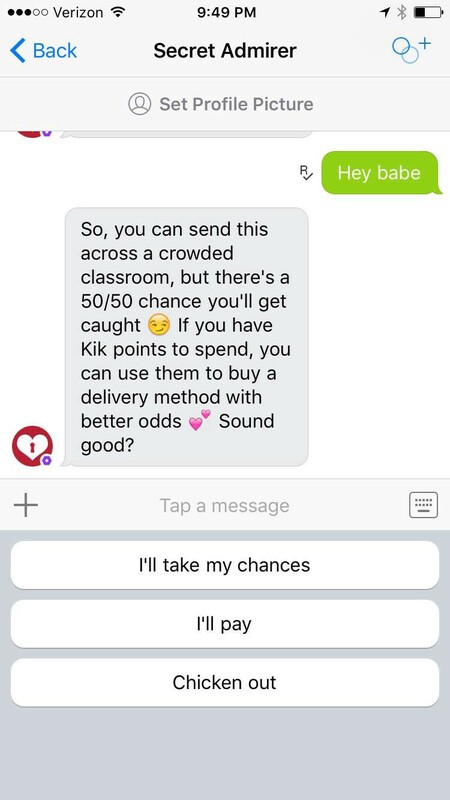 You can pay for a 100% chance of anonymity with Kik Points, which you earn by watching advertisements. Definitely chickened out. You can take quizzes about Fifth Harmony, the five-person music group. Answer questions like which Instagram photo got more likes (and see what percentage of voters made the same guess), learn your style (Buzzfeed quiz-style), and rack up points with correct answers. This is not really a chat bot… you receive a link that takes you to a mobile fighter pilot game. The bot asks you about your style preferences and then serves you relevant H&M clothes you can purchase. There’s nothing here to keep you engaged unless you’re interested in buying clothes at the particular moment. This bot will help you with your job search. You tell it what you’re looking for, and it will suggest some positions in your area. You can also take a 6-question personality quiz and then receive listings based on your results. Not sure why I’d use this instead of other job resources. 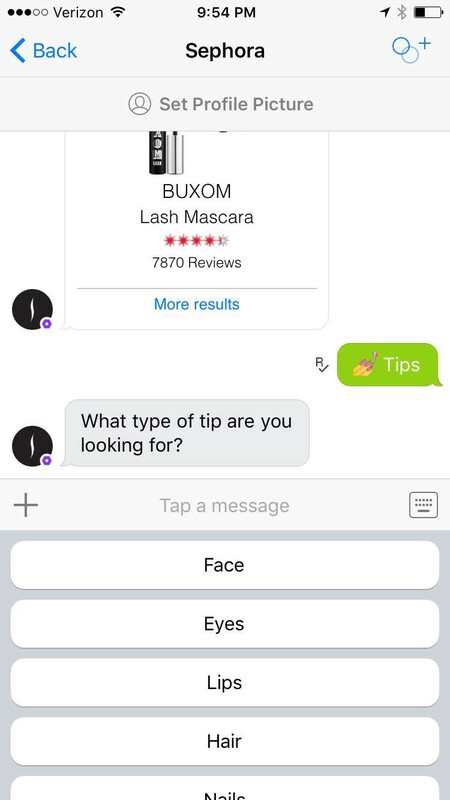 Some of these bots simply take services that exist elsewhere and make them accessible within the messaging app, such as Sephora and H&M for shopping and Workn Jobs for the job search. The blind send. With Vine, ClipDisBot, and Riffsy GIF keyboard, you send a video or gif to a friend without knowing exactly which one will be sent — you’re only providing a keyword or phrase. The high-touch personal adventure. Choose-your-own-adventure novels have been around for a while, but they do not allow you to participate so frequently or be so central in driving the story. A consumption cadence. In Arterra, the choose-your-own-adventure story, multiple messages come rapid-fire just as fast as you’re able to read them, which works well because you have the sensation that you’re reading a page-turner. 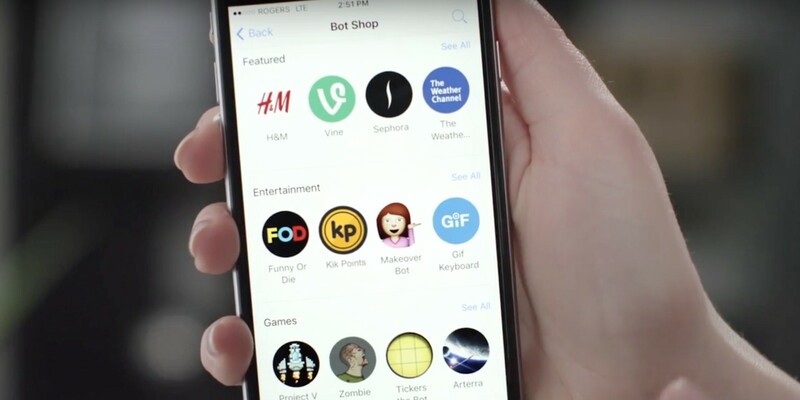 Some bots, such as Vine, have a slower pace since they require you to repeatedly think of new searches, while others like Funny or Die encourage you to mindlessly tap buttons for new content. For some bots, the experience is disjointed. Candie’s + Fifth Harmony, for example, sends messages so quickly that it’s impossible to read everything before it leaves the screen. New paths to connection. Style q+a engages people around helping each other and then forges one-on-one connections. I’d be interested to learn how often people meet and continue chatting, as well as whether particular topics aside from style would lend themselves to these types of interactions. This service would become particularly compelling if it could match questions to users especially well-suited to answer them. We’re certainly at the beginning of this sort of experimentation. What’s coming next? Interested in media, tech, and people. Strategy at Atlantic Media.